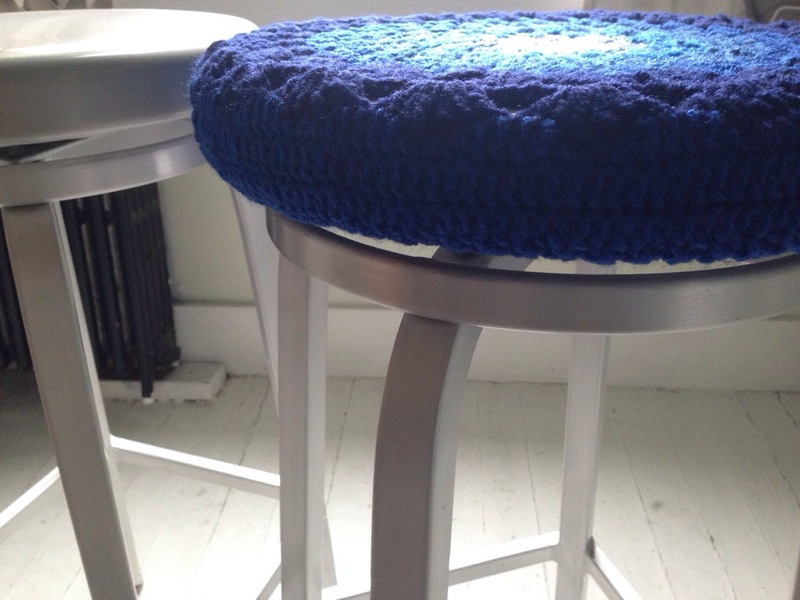 I have these two great metal bar stools at my kitchen table. They’re the perfect height, and they spin! However they’re metal so they’re coooooold in the winter and in the summer, bare legs stick to them and its always a gamble when you’re getting down. One false move and they try to keep some of said skin. Ouch. 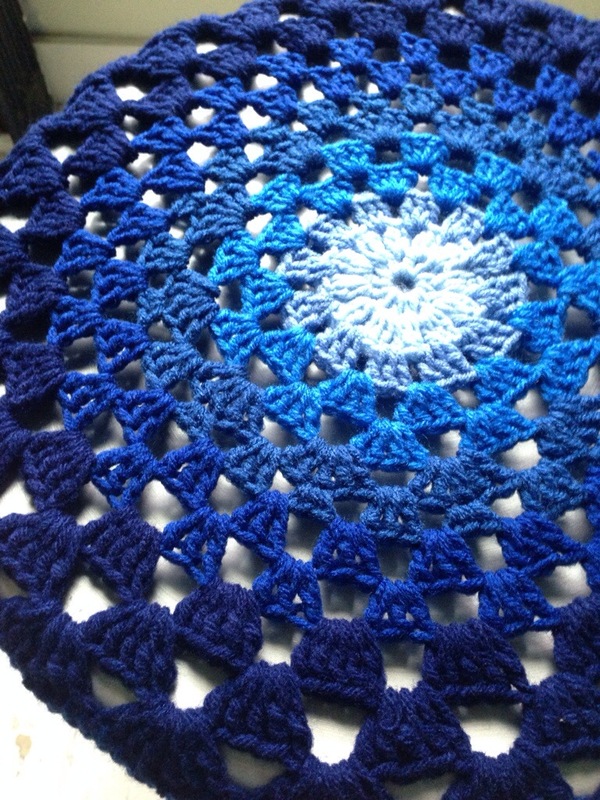 I was fiddling around with crocheted circles the other day, working out a throw idea and I had a brain flash. 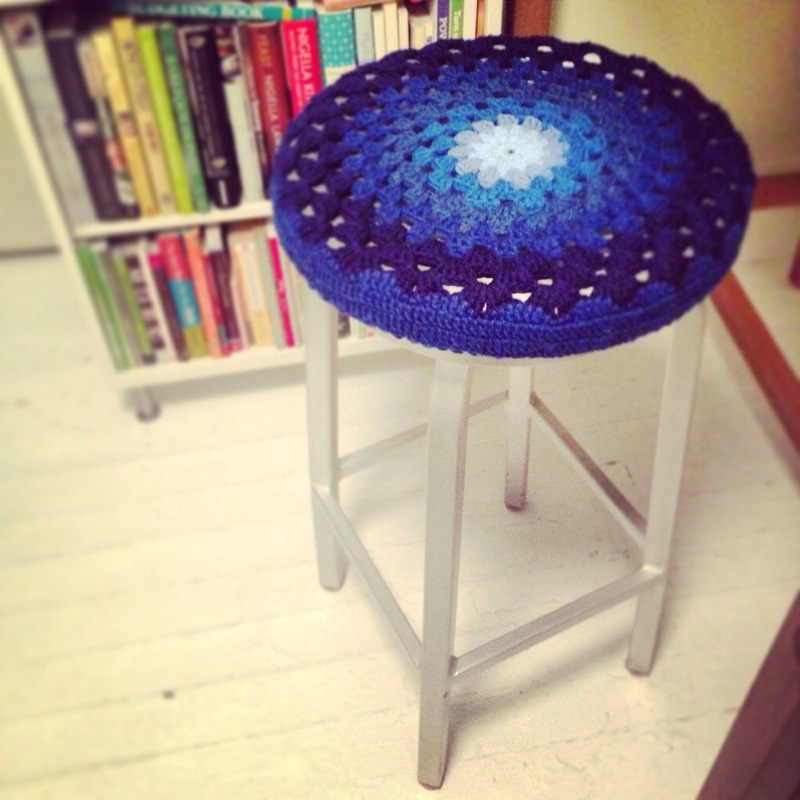 I could make yarn covers for the stools! After a few false starts I got into the hooking groove and came up with this little beauty. It took a wee bit of pulling and tugging to get them on after hooking the decreases but they fit well and I’m not concerned about them coming off. I’m chuffed. What a great idea! 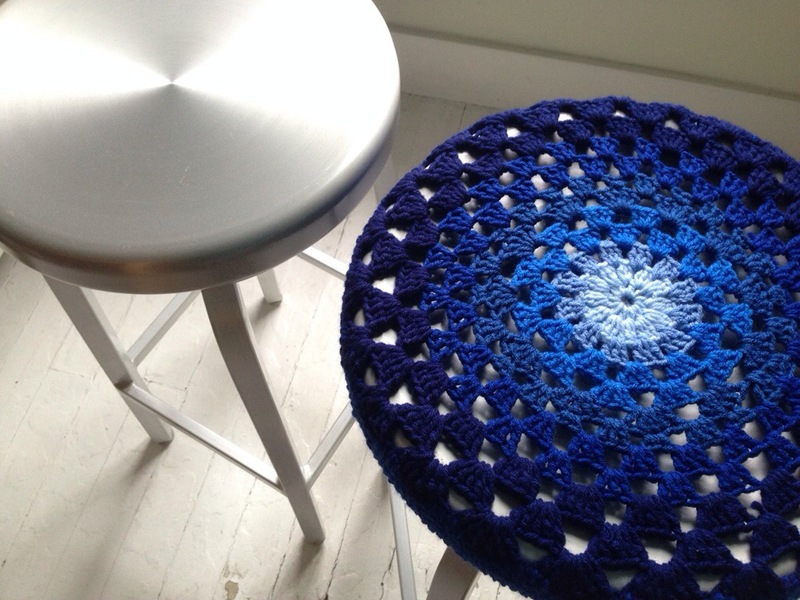 I have two barstools and the tops are looking beat up. Thanks for posting this!